LBlock is a lightweight block cipher, with a 64-bit block size and an 80-bit key length, which was proposed at ACNS 2011. It can be implemented efficiently not only in hardware environment but also in software platforms. Because biclique cryptanalysis was proposed recently, the security of LBlock against this method has not been evaluated. 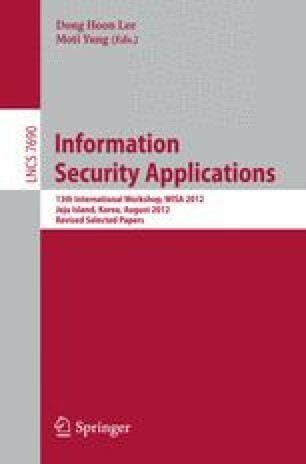 This paper presents an optimized brute force attack on full LBlock by using the biclique cryptanalysis with partial matching and match with precomputation techniques. Moreover, the low diffusion of key schedule algorithm is the major contributor to the success of this attack. Therefore, a new key schedule algorithm is proposed with sufficient diffusion, considering both the implementations on 8-bit Micro-controller and the security under related-key attack.